Atlas America Visitor Insurance plan gives extensive travel medical insurance coverage benefits to non-US citizens visiting and traveling to USA and other nations outside tourist home country. The Atlas Travel series plan program is ideally suited for parents, relatives and other elderly citizens going to USA. Atlas Visitors insurance for USA visitors is for individuals and families or anyone who is visiting USA and/or Canada for a short term duration, or traveling to any other nation outside his or her homeland borders and it best suited for international travel to nations like United States of America (USA) or Canada. It is a well known fact that visitors to the USA and or Canada, especially senior parents and aged relatives visiting the first time or on a subsequent visit, should include visitor medical insurance as part of their travel planning in order to get emergency financial assistance due to an emergency health situation while visiting these countries. If you are visiting the USA or Canada, it is important and absolute necessity to have the requisite visitors insurance for visiting USA. without which it becomes challenging to deal with medical emergencies, or even travel related sickness or injuries. The price of critical care like any hospital fees, surgery, medication, etc in developed nations like the USA is not affordable. By purchasing the Atlas America visitors health insurance, you can remove the economic risk of an unforeseen emergency or accident and be overly concerned with the cost for the needed protection. Although you may have an insurance policy that you use to visit the doctor in your native country, it will not be accepted in the U.S. And if you try to get medical treatment without having an insurance plan in the U.S., you will assume all responsibility for the resulting fees, which could be anywhere from hundreds to thousands of dollars. 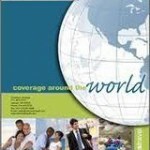 In that situation, you could save that money by purchasing an Atlas America visitors health insurance plan. Purchasing the Atlas visitors medical insurance makes it possible for you or visitors to take pleasure in an overseas trip without the worry as it also ensures their safety and security at times of sudden medical emergencies.The Atlas America visitor Insurance policy delivers a host of essential medical services for the duration of health emergencies such as emergency accident, injury, illness or sickness, travel assistance, and accidental death and dismemberment, repatriation of mortal remains, medical evacuation benefits, advanced maternity care, devoted insurance client assistance, optional supplementary adventure-sports riders to foreign nationals although visiting the United States. Atlas visitor Insurance policy also supplies protection for significant medical issues and emergency medical situations which can be economic doom without having appropriate visitors insurance coverage throughout a the visit to the United States. The Atlas travel insurance strategy pays for vital medical charges incurred for hospitalization charges and physician’s consultations, and also supplies immediate medical evacuation and relocation in the course of wellness emergencies, including provisions for emergency ambulances, admission in intensive care units during hospitalization for medical emergencies like usage of life-support apparatus. The Atlas America Insurance for USA Visitors is one of the handful of travel wellness policy that gives benefit amount of reimbursement for an acute relapse or manifestation of a pre-existing conditions as explained in the Atlas travel plan brochure. If you are from California and when you go through the purchase process for an Atlas America insurance policy, you should not be confused by the message stating that this plan insurer is not licensed by the State of California. What this message means is that the plan insurer is a non-admitted or surplus line insurer in the state of California, and if due to insolvency of this insurance company, the state of California is not able to pay out a liability claim and will not be liable for the claims. Atlas America insurance also provides reimbursement for terrorist acts, trip cancellations or travel termination or delays or stoppages, due to adverse climate or all-natural calamities. The Atlas America Insurance for USA Visitors strategy policy can be purchased for a minimum coverage period of five days to a maximum of 12 months continuous coverage, after which the Atlas plan can be renewed twice for continuous periods of 12 months each. The Atlas visitor insurance policy plan gives for cashless billings the Atlas provider PPO network. Atlas America insurance permits the traveler to waive the coinsurance for any medical services such as doctors, hospitals, labs, etc., all inside the Atlas PPO network, which is extensive in the US and can be searched by zip code. Right after the deductible quantity criterion is met, the policy pays all the incurred expenses up to the plan maximum insurance benefit covered. The Atlas America visitors insurance policy delivers reimbursement in situations of interrupted and/or cancelled trips. Atlas America insurance policy plan is underwritten by Lloyd’s of London, which is the oldest insurance market in the world, and the program is administered worldwide by HCC Medical Insurance Services which is based in USA.